Remember Prophet Cosmos Walker? 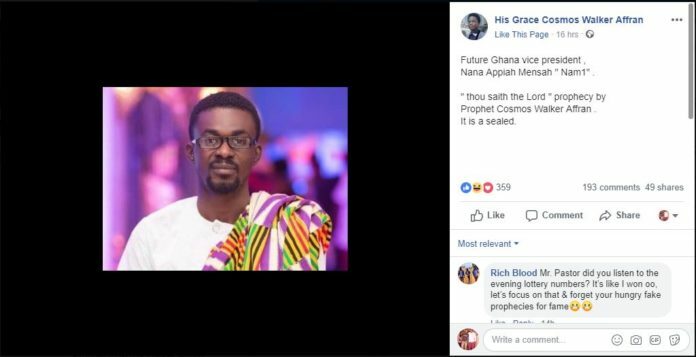 The prophet who last year prophesied about the death of Dancehall artiste Shatta Wale in December last year which sparked nationwide uproar. 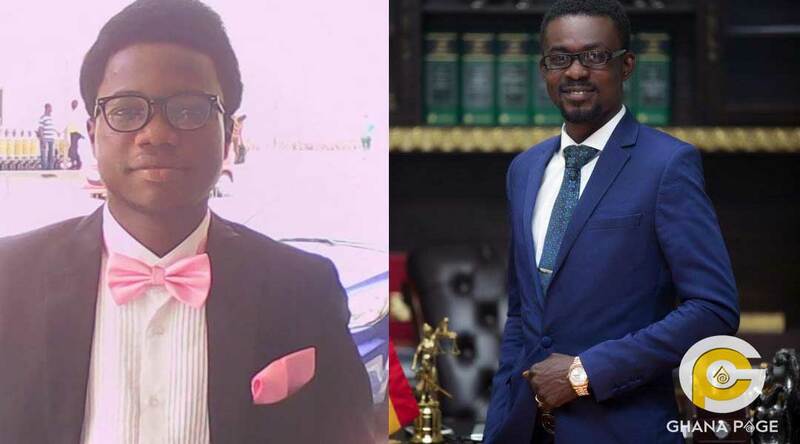 Well, Prophet Cosmos Walker who is the leader of Cosmos Affran Ministries is back again and this time he is saying that embattled Menzgold and Zylofon media boss Nana Appiah Mensah aka NAM 1 would one day become the Vice President of Ghana. The man of God made this revelation known on his Facebook timeline where he mostly shares his prophecies. 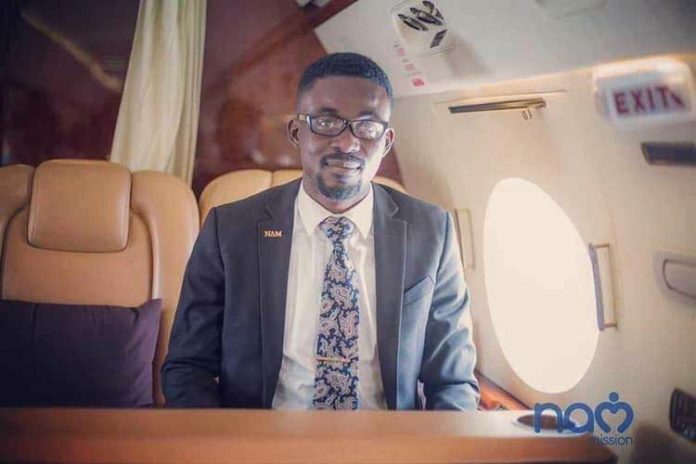 The post NAM 1 would one day be vice president of Ghana – Prophet Cosmos Walker appeared first on GHANAPAGE™.